Brian Fitzpatrick may not have much of anything to do with sewing costumes. As the head of Google’s Data Liberation Front and its Transparency Engineering Team, he probably knows less about encasing elastic or princess seams than my 18-year old son (granted, my other two sons know more about these things than they’ll admit, simply because they skated from the time they could walk; but my 18-year old “retired” at the ripe old age of seven…but that’s another story). Instead, his quote comes from a lecture he gave, outlining various aspects of customer service in the modern age. And when dealing with garment design, nothing could be more fitting — no pun intended. 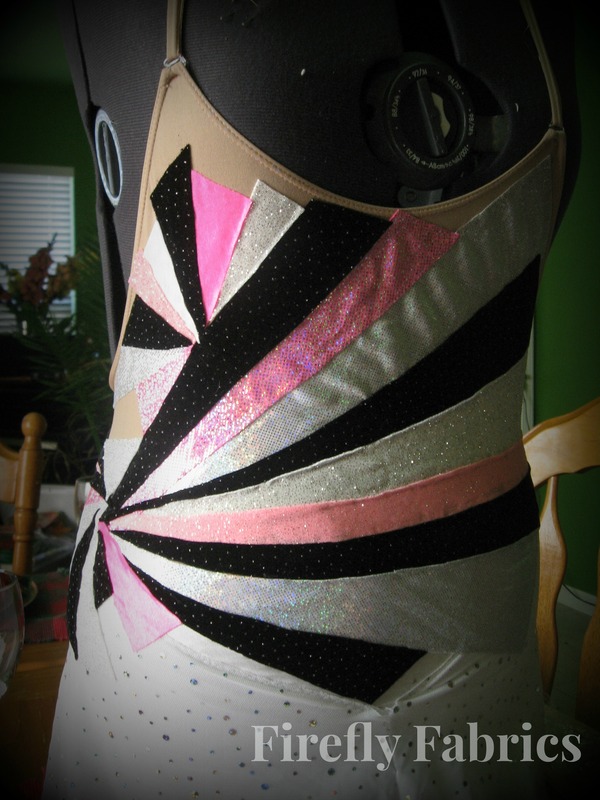 When I first started creating custom outfits, I used to adhere exactly to what the customer told me she wanted. If she said “light and flowing,” she got it. If she said “low cut front,” she got it. And if she said “17 gross stones,” then dammit, that’s what she got…even if I secretly knew light and flowing would make her look like an Easter egg with wings, low cut would make every spin a flirt with Janet Jackson-ism, and that many stones would make a skirt so heavy it would bruise her partner every time they changed positions. However, over and over I was stunned when, after producing an exact copy of a drawing the customer had provided, or after creating precisely what I was told to create, the client wasn’t satisfied. Often she’d ask for alterations, changes, complete re-dos, etc…even though I followed her instructions perfectly. It confused me, and since, for me, the line between being confused and being infuriated is extremely short and straight, I spent much more time hating this work and the people involved than loving it. The last straw occurred when I worked for a very, very long time on an outfit with intricate inset appliques and cut-outs that had to line up over sleeve seams, back seams, and hip seams…not an easy task. Plus they were white (more on this type of fun in a later post), and the edges weren’t going to be stoned — so they really did have to line up precisely. They turned out perfectly; really, just perfect. I was so proud of the work and so excited to show them; but when I did, rather than share my own personal ecstasy over the surprising success of the endeavor (my first mistake — expecting other people to understand these little personal engineering triumphs), the client’s mother told me she wanted more room in the outfit so that the skater could grow and it would still fit next year. I was frustrated; defeated, but complacent. I reworked the entire design, cut a little here, added a lot there, until, once again, everything lined up perfectly. Then after putting it on, mom said oops, she liked it better fitted, let’s just put it back the way it was in the first place. Furious doesn’t even begin to describe how I felt; but surprisingly enough I wasn’t angry at her — I was angry at myself for listening to her words (“make it bigger”) rather than her unspoken desires (“make this kid stop growing because she’s a huge complainer when things get snug and I am frankly too tired to even listen to her anymore”). In case you’re wondering, yes, I did fix it, once more, and it looked wonderful. But will I go through that ever again? No way. I learned that what people really want isn’t necessarily what they tend to say upfront. “It needs to be tighter” is often an adult performer’s way of saying “I want to look thinner after having these three babies,” and making a fitted garment tighter isn’t going to be nearly as successful as using a different design, cut or fabric. “Copy that dress for me” is often not a desire for an exact clothing replica; usually it means “I’m not confident making design decisions and I don’t yet trust you to decide for me.” When a man says “I want white pants,” after barfing a little in my mouth, I stop and realize that he really just wants what’s familiar, and in the case of skating, those (nasty, disgusting, hideous) white pants were all the rage when today’s middle-aged skaters were young and oh-so-cool. I now ask questions. Lots of questions. I also won’t sew something that I know is going to look horrible. People would ultimately rather be wrong than look bad, honestly. These days, when I know that what the client says she wants is something I’d never want to admit I made, I gently guide her to a different outlook or vision; but if that doesn’t work, I make something I’m willing to put my name on, knowing very well that since it doesn’t fit the client’s request there’s a chance it will end up on my sale rack. So far, this has worked beautifully; each time I’ve listened to a customer’s wants rather than her words, she’s been thrilled with my interpretation — even though it doesn’t look exactly like that picture she drew. I know the day will come when a client won’t be happy with what I know is best, and when it does, I am in a place to politely but firmly suggest she try a different designer. In the meantime, I’m not ignoring the voice in my head, the voice with twenty years of experience, telling me “ohmygod don’t put that woman in neon pink spandex, no matter what.” I know I’m not alone, but it certainly took me a long time to get here; so I can only hope that more craftsmen and women do more listening to wants rather than words — even if that want includes neon pink spandex.